The charges relate to claims of stolen machines from his campaign office. 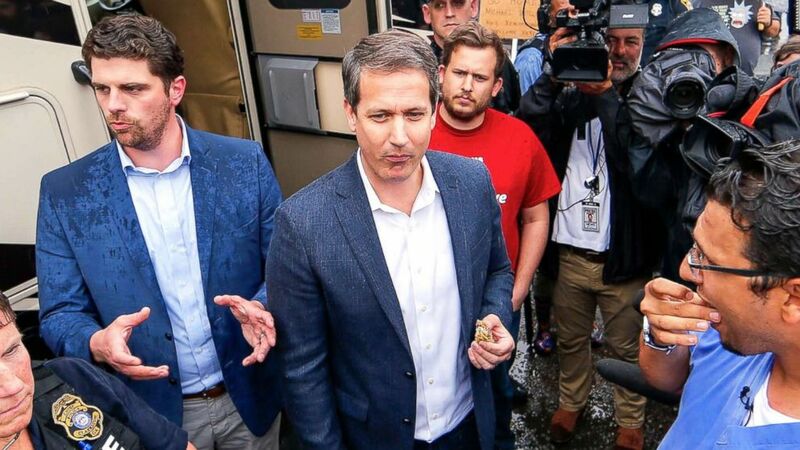 A former gubernatorial candidate who campaigned in a so-called "deportation bus" is facing charges including insurance fraud and making a false report in relation to what he claims was a break-in at his campaign office. Michael Williams is a Republican state senator in Georgia who ran for governor this fall. Williams was indicted on Dec. 18 on charges of insurance fraud, the false report of a crime and making a false statement, all stemming from a May report to police about an alleged burglary at his campaign office. (Erik S. Lesser/EPA via Shutterstock, FILE) Georgia Republican Party gubernatorial candidate Michael Williams (C) appears at a 'Deportation Bus Tour' stop in Clarkston, Ga., May 16, 2018. In May, Williams' then-campaign manager said that $300,000 worth of computers that are used to mine cryptocurrency were stolen from their offices, according to the Associated Press. Williams turned himself in on Dec. 26 and posted bond the same day. His attorney AJ Richman told ABC News in a statement that Williams "is adamant he did nothing wrong." "Senator Williams, his wife, Virginia Williams, and I went to the jail to complete the intake process. Senator Williams was quickly released on an agreed-upon $10,000 bond. The entire process was efficient and professional," Richman told ABC News via email. "Senator Williams is adamant he did nothing wrong," Richman continued. "While he was campaigning for governor around the state of Georgia, he was informed that the cryptocurrency machines in his office were gone. Senator Williams’s staff filed a police report in May. Here we are, more than six months later, and now Senator Williams is indicted. Because the grand jury process is secret, and only involves the prosecutor and the police officer, we are not privy to what was said at that time. The officer gives his side of the story, and we are not allowed to listen, comment, cross-examine the officer, or present our side until trial." Williams came in fifth in the five-candidate gubernatorial race. 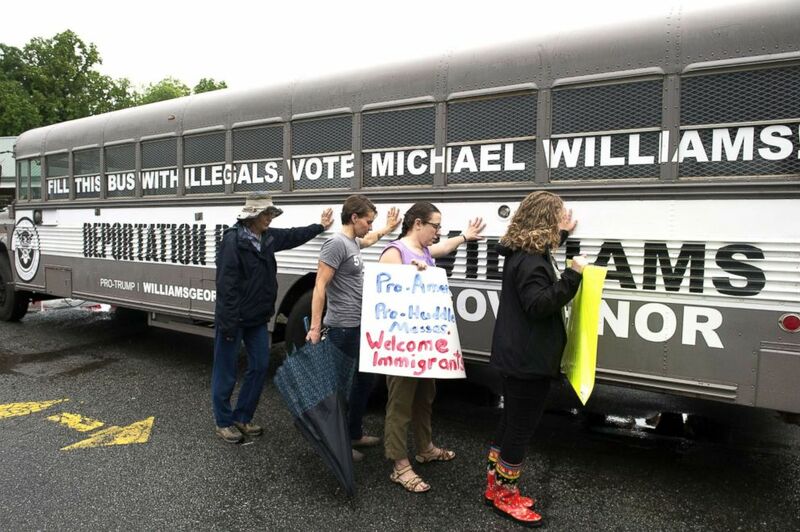 (Robin Rayne Nelson via ZUMA Wire) Protesters pray as they lay hands on the 'Deportation Bus' of Georgia Republican Michael Williams during what Williams called his 'Deportation Tour' of Georgia towns, May 16, 2018. During the campaign, he traveled to events in an old school bus that he had renamed the "deportation bus," which had the phrases "Fill this bus with illegals," "Danger! Murderers, rapists, kidnappers, child molesters and other criminals on board" and "Follow me to Mexico" written on it, the AP reported. Williams campaigned as a pro-Trump candidate. The Atlanta Journal-Constitution reported that Williams is expected to remain a sitting member of the state Senate until his term is up on Jan. 14. Richman said date for Williams' next court appearance is "unknown" at this time.